Marco’s Florence – The Head of a Cleric: Is this the Hand of Fra Angelico? The pensive face of a cleric peers away from us in a little known sketch created in the workshop of Fra Angelico. Yet another mystery confronts us as we consider whether this was created by the Dominican Brother himself, or by a student of his workshop. The work came to my attention during research regarding Fra Angelico for classes I teach on the Art and History of Renaissance Florence. It was a complete (and quite rewarding) surprise. 1448 is the date attributed to this metal point on a prepared ochre surface. The work could have been made by Fra Angelico for study by his students. 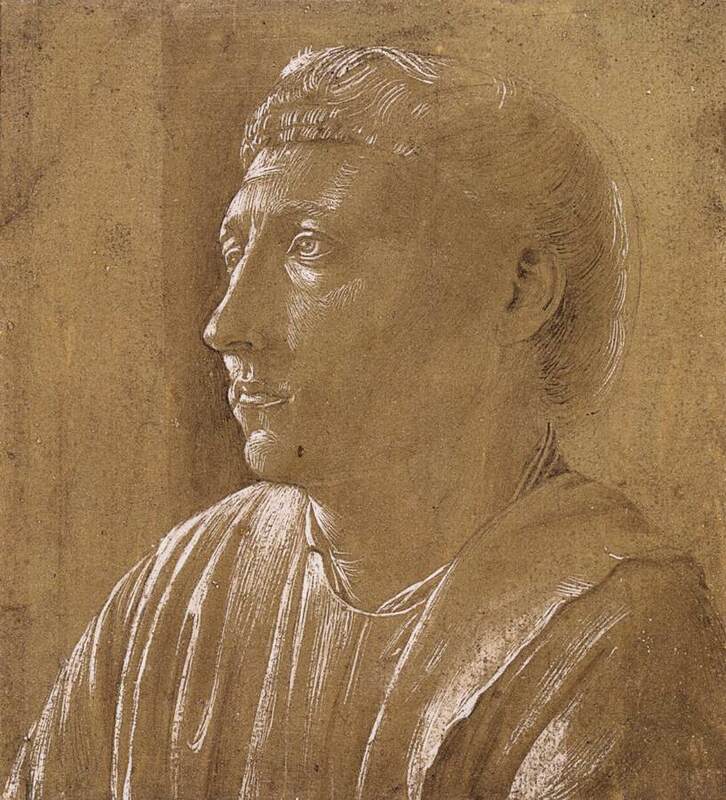 However, in the Metropolitan Museum of Art’s Catalog for their “The Renaissance Portrait From Donatello to Bellini” exhibit, they believe that the work may have been created by Fra Angelico’s most famous student, Benozzo Gozzoli. Benozzo’s career, like Fran Angelico’s, flourished. He received commissions as varied as the Procession of the Magi frescoes in the Palazzo Medici (now the Medici-Riccardi) in Florence and a St. Sebastian Intercessor for Church of Sant’Agostino in San Gimgnano. More on Benozzo in a future blog post. 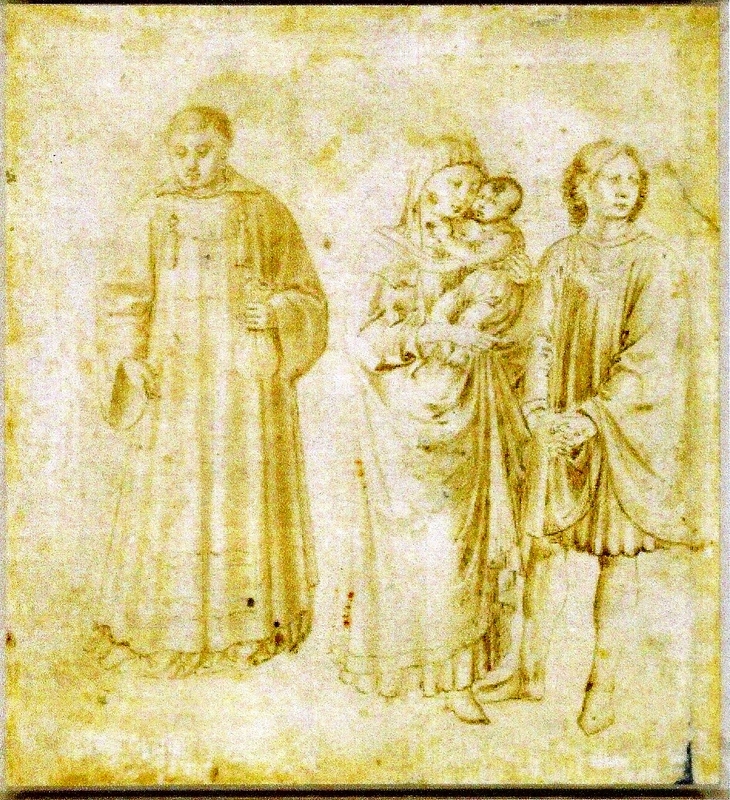 The verso of this 1448 work is attributed to the workshop of Fra Angelico (please see image included with this blog). It depicts several figures that are very similar to those created for the Cappella Niccolina at the Vatican. Information about the specific sections of the Angelico frescoes for which these figures were intended was not available to me as of this writing. I continue to research that information through associates in Rome. Such treasures of art, available for viewing only a few moments in a lifetime, continue to surprise and amaze.